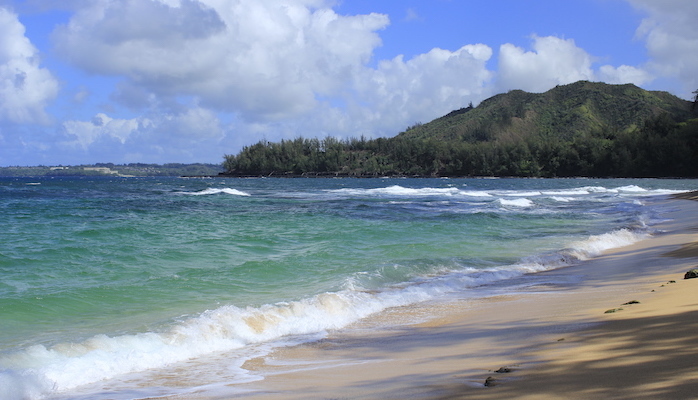 Kauai is known for its beaches, so don’t miss a chance for a fantastic beach run at Hanalei Bay — one of the flattest and firmest stretches of sand on the island. Starting from Hanalei Pier (where you can find parking) you can wrap around the half-moon shaped beach for about 1.6 miles before the sand ends and you have to turn around. That means over 3 miles of uninterrupted sand running! If that’s not your thing, some runners like Weke Road, the paved street that follows the bay. It’s lined with some nice beach houses, but there isn’t much of a shoulder, so try to go at a time when traffic will be minimal. Note: Locals say this is a great beach for a barefoot run!